We offer complete solutions tailor-made for combinations of medical diagnostic or treatment hardware, communication interfaces and application software. 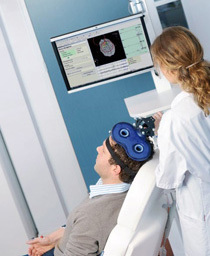 eemagine has a wealth of experience with the development of medical technology integrating different modalities such as EEG/EP, EMG, MRI, TMS, MEG and NIRS. Have your business case ready when you contact us! We offer clinical application software development with typically complex use cases and interactive visualization embedded in a workflow concept. We provide an extensive modern software framework as a skeleton solution for your project and customize it with the required algorithms and display functionality, adding a professionally designed GUI. Our manufacturing services for mechanical and electronic components typically include 3D design, prototyping, tooling and preparation, process engineering, qualification and documentation, assembly and testing.